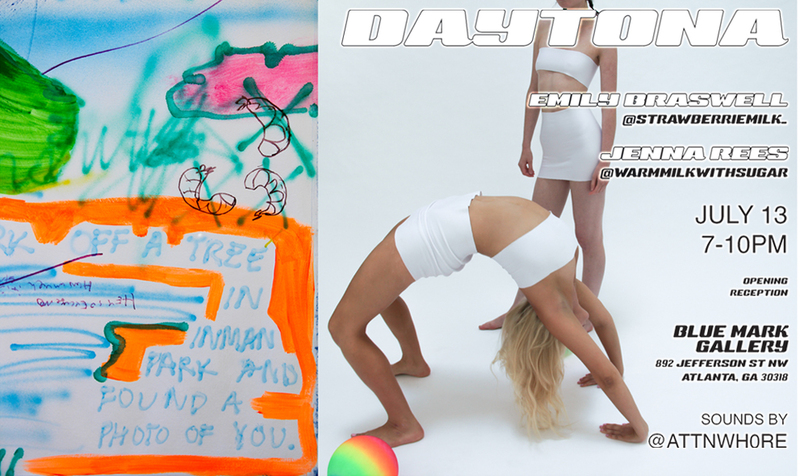 DAYTONA is a collaborative show by Emily Braswell @strawberriemilk_ and Jenna Rees @warmmilkwithsugar. This body of work is an abstracted narrative of an impromptu road trip with a destination determined by digital chance (asking Siri, “heads or tails?”). The show explores themes of currency and sexuality with a relatable touch on today’s idiocies. 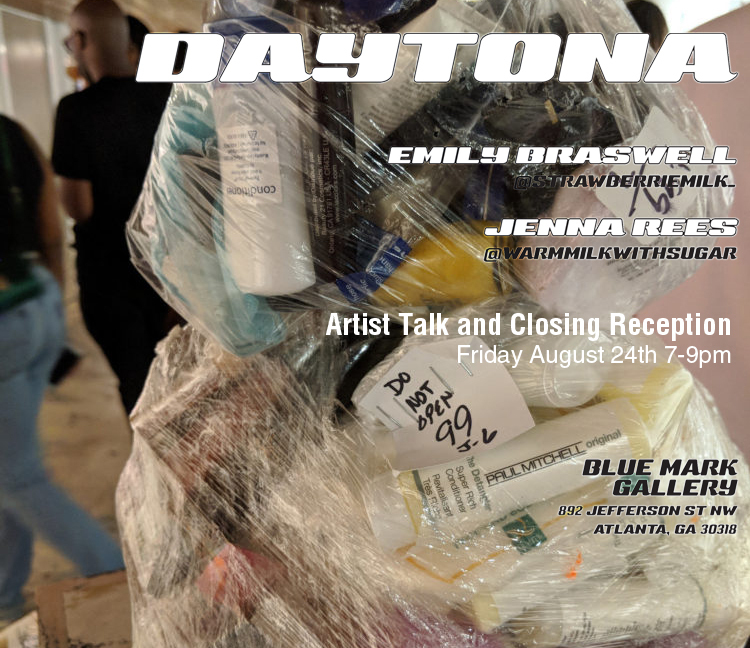 The Real Milk Studios is a collaboration between two Atlanta based artists, Emily Braswell and Jenna Rees, under the art aliases of strawberriemilk_ and warmmilkwithsugar. The shared brand acts as a platform for all of their creative collaborations. It is also the informal title of their common studio space in the Historic Fourth Ward neighborhood. Braswell and Rees have been a duo since 2010 when they met at the University of North Carolina School of the Arts (UNCSA). It was there that they began their artistic dialogue. Rees then received a BFA degree from Maryland Institute College of Art (MICA), while Braswell attended University of North Carolina Charlotte (UNCC) obtaining a BA. After pursuing their work independently, Rees in New York and Braswell in Charlotte, the duo felt compelled to reconnect and focus on pursuing their art and collaborative endeavors in Atlanta.